Amir Matityahu was born in Israel and moved to Palo Alto, CA in 1978 where he learned English as a second language and matriculated through Palo Alto High School. 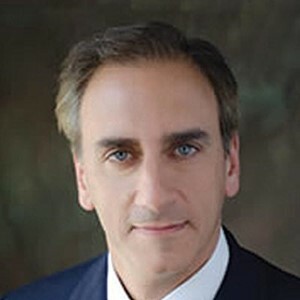 He received his bachelor of science degree in Kinesiology from the University of California, Los Angeles, (UCLA) in 1992 and graduated from the Hahnemann University Medical School in Philadelphia in 1997. He received his orthopaedic residency training from Maimonides Medical Center in Brooklyn, NY. In 2002, he further trained in Orthopaedic Traumatology through a fellowship at the Adams R. Cowley Shock Trauma Center, a world-renowned trauma center. In 2003, Dr. Amir Matityahu joined the staff at UCSF/SFGH. He is presently the Director of Pelvis and Acetabular Trauma Reconstruction at San Francisco General Hospital and is an Assistant Clinical Professor in the Department of Orthopaedics at the University of California, San Francisco, (UCSF). His clinical areas of interest are high-energy complex periarticular fractures, pelvis and acetabular fractures, and the polytraumatic patient with orthopaedic injuries. His research interests include the bio mechanics of fracture fixation and the post-traumatic hip joint. In addition, Dr. Matityahu is constantly developing innovative and minimally invasive surgical techniques to speed healing and return patients back to work and athletes back to the field more quickly. Dr. Matityahu's goal is to provide the highest quality of medical care available to all of his patients, promote, encourage, foster, and advance the art and science of orthopedic surgery. This includes state of the art treatment for complex orthopaedic injuries. The ability to offer state of the art surgical and medical treatment is maintained by active involvement in orthopaedic trauma research, teaching, and patient care. Doctor Matityahu values compassion, quality, integrity, teamwork, clinical research and education for both patients and other physicians.